Toyota HiAce a light commercial vehicle was firstly presented in the market in the year 1967. 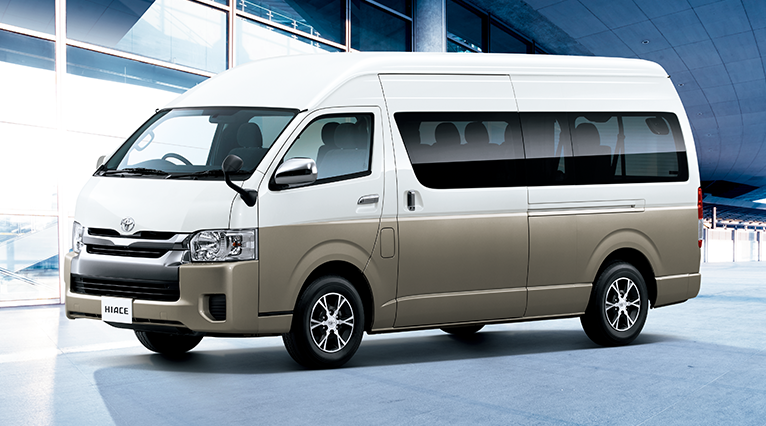 Since then Toyota HiAce has adopted many faces in terms of specification, interior and exterior. This Van is still available in the market in its many variants. HiAces are available as normal family Vans, Ambulances, Pick-ups, double cabs and many others. It was designed to commute long distances and was able to carry 8 people along with achieving the goal of complying with Japanese design standards. The second generation of HiAce was launched in 1977 after the successful sale of its first generation. In the second generation along with 2.2 Liters of the petrol engine, Diesel engine was also offered to meet the requirement of few markets. It had single headlights and was more streamed. The second generation was a range of four starting from H11, H20, H30 and finally H40. Its third generation was launched in 1982 and remained in the market till 1989. Its design was common as Toyota light truck and was really appreciated by the market. It was also known by the name of Toyota commuter and was known by the name of Toyota shell in Sri Lanka. Its fourth-generation H100 was launched in 1989 and sustained in the market till 2004. In 1999 it also came in its luxury version by the name of RegiusAce. Toyota HiAce is a perfect ride for long routes and large families or even it could be used commercially for towing passengers. If you looking forward to starting ant transport business and are looking for inexpensive and cheap options to buy HiAce, so you can contact online customer service representatives of Car Junction. Car Junction is one of the oldest and most reliable sources of buying used cars as we have been serving market since more than two decades and have great word of mouth with clients regarding price and condition of the vehicle.